I have not always been as obsessed with flowers as I am now, but I guess it was always deeply imprinted in my genes, ready to emerge when I least expected it. I completed my B.Sc Degree at Stellenbosch University and then went on to travel to the UK in 1999 for some life experience, as I still didn’t know what I wanted to do with my life. I used to walk to work, cappuccino in one hand, bacon sandwich in the other, uninspired and unfulfilled by the desk job I had. And there, on a street corner in London, in front of the most beautiful flower shop with flowers spilling onto the sidewalk, I felt it for the first time, stirring deep inside my soul: the fascination with colour, textures, small details and all of Mother Nature’s offerings. I think it is safe to say that the obsession took a vice grip hold of me on that fateful day! My grandmother and great grandmother’s love for flowers and their creative spirits must have collided head-on with me on that day. I still remember my grandmother’s oversized floral creations so vividly, tumbling from the grand piano in the foyer as you entered their home, intoxicated by the scent of all the garden flowers. The enormous show garden of my great grandmother’s farm house in the little town of Koffiefontein. The smell of the giant pepper tree in the driveway, with little pathways, streams and secret hideaways tucked around every corner; every child’s dream! Oh, how I wish I could go back in time now, to learn from these two formidable women! When I finally came back to South Africa in 2001, I returned to yet another desk job in finance, but my inner creative spirit would not quiet down. I did a basic floral course in Cape Town and then also discovered the magnificent work of the boys at Okasie. I became even more obsessed! I was (and still am) mesmerised by their trendsetting creations. I took a big chance and contacted Okasie to ask if I could assist them with a few weddings as a complete novice. To my great delight, Alwijn (now Blomboy), said yes! I learnt so much from Dané, Chris and Alwijn in the few weddings and functions I was fortunate to assist them with. They will always be my flower idols! In 2006 I started working on the commercial side for a company that exported Fynbos bouquets to Marc’s & Spencer in the UK. Still a desk job, but one step closer to fulfilling my passion/dream. In 2008 I got married at Roodezand in Tulbagh. Karen, the owner of the venue, was aware of my love for flowers and convinced me to try doing flowers for a wedding on my own. I was petrified just by the mere thought of it, but eventually agreed. Karen referred my first bride to me… I was a total wreck, but I made it! And I wanted to do it again! And again! And again! Since then, I kept on doing flowers for weddings after hours and in my spare time. Eventually, I couldn’t juggle spending two hours on the road every day, a desk job, spending time with my husband and our baby daughter, as well as doing weddings on the side anymore. I took the leap of faith in 2012 and resigned my job to solely do flowers. I can honestly say that I have never looked back! Yes, it is incredibly liberating and wonderful to be a girl boss, but at the same time, it is also very daunting not to know where the next month’s salary is going to come from! But somehow, God has always provided. My motto is that He always knows what I need, before I even know it myself! Each new season is like slowly unwrapping a present, not knowing what’s inside. 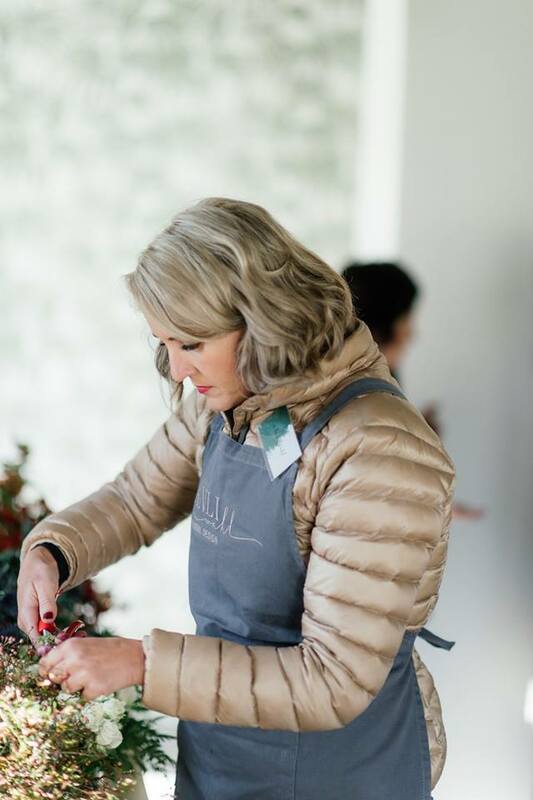 Meeting new brides, new service providers and fellow industry professionals, learning about new trends in the floral industry, gathering more experience and inspiration, gives me endless pleasure. So here I am now, living on a wine farm in the Western Cape with my wonderful winemaker husband, two gorgeous kids (a boy and a girl), two boisterous Weimaraners and a ginger cat! My style has evolved a lot over the past years, but I think it has more or less established by now. If I could describe my style, it would be: loose, unstructured, whimsical, voluptuous, lush and romantic and sometimes even a bit over the top. 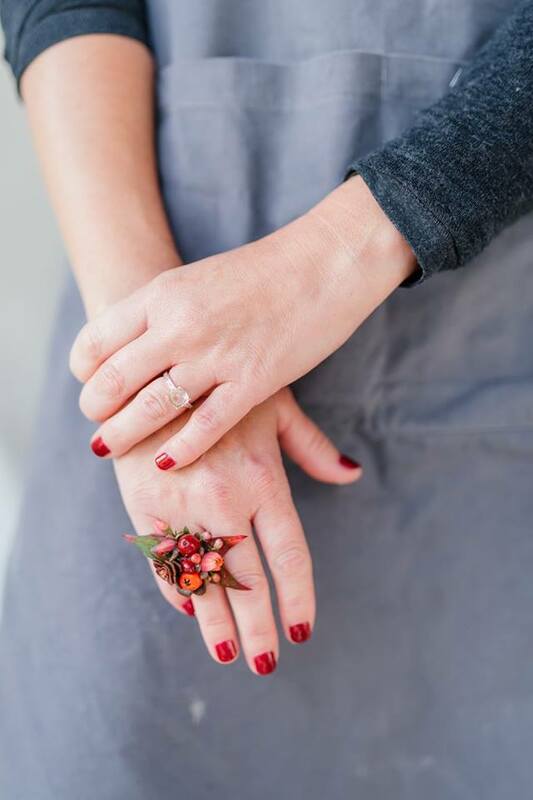 I love to push boundaries with brave brides, but also enjoy conforming to the traditional – with a fresh twist! RELATIONSHIPS I am not all about flowers, I also believe in creating lasting relationships with all my clients and suppliers. My livelihood depends on these people and I always try to handle both my clients and suppliers with the utmost respect and kindness. SERVICE EXCELLENCE AND A BESPOKE FLORAL EXPERIENCE My clients are super important to me and I believe that each couple is unique, as are their needs. 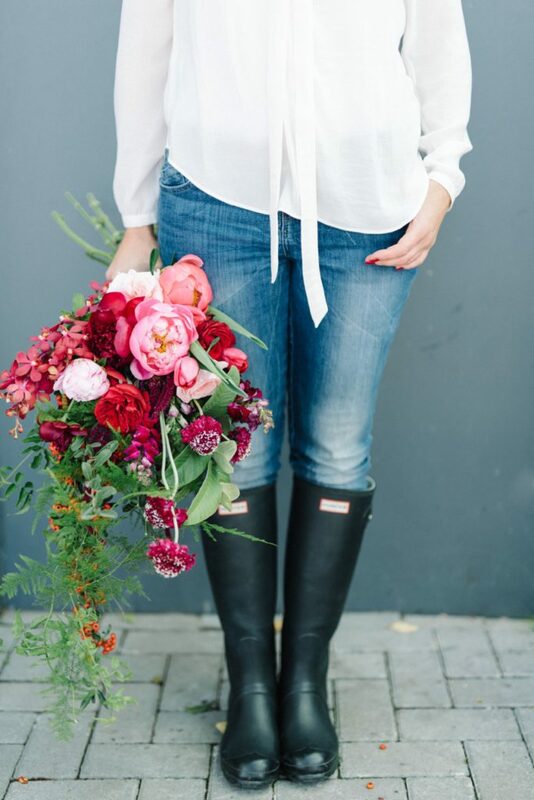 I always endeavour to tailor my services and 8 years of floral experience around my clients’ style and their budget, because no two weddings are alike. 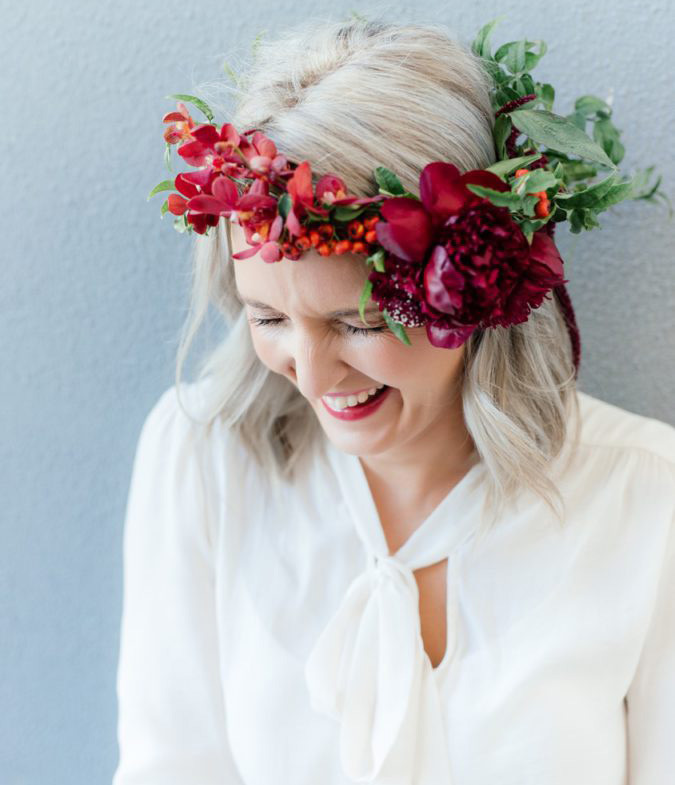 Planning your floral décor should be the most exciting part of your wedding day and I want the whole experience to be as stress-free and enjoyable for you as possible. COMMUNICATION AND INTEGRITY I always aim for prompt responses and complete transparency, whilst always being approachable, trustworthy and friendly throughout the whole planning process leading up to your big day. INSPIRATION I am interested in creating once-off designs. I do not replicate other designers’ work, or any of my previous weddings. I will take elements of your inspiration images, combined with my own creative ideas, to create something truly unique to compliment your personality and the vision you have for your big day. DETAILS AND BEAUTY I am a sucker for details. Details create the experience in my opinion. I always do my best to create the most visually pleasing and thoughtful arrangements you have ever seen, whilst respecting nature and the seasonality of flowers. CUSTOMER SATISFACTION I try to offer a service that is second-to-none by remembering to always under-promise and over-deliver. My goal is to not only meet my client’s expectations, but to exceed them. QUALITY AND RESPECT FOR NATURE I love to see flowers used in the way that they would appear in nature – wild and unrestricted. Or simply showcasing the beauty of a single flower all on it’s own. I never work with fake flowers and only use the freshest possible product I can lay my hands on. I love my alone-time, that’s when I recharge. That is probably why I love flowers so much – they don’t talk back! I’m terrified of snakes and I’ve even been bitten by a night adder when I was 10 years old! I can parallel park like a pro – got 100% for it in my driver’s exam! My mom assists me on 99% of my weddings and I cannot operate without her! She spends hours on the road with me during season time, traveling with flowers at 80km/hr in a super uncomfortable flower truck, waking up in the wee hours of the morning while it’s still dark outside, packing flowers, unpacking flowers, feeding me, making me countless cups of tea (that end up getting cold), dealing with my moods and constantly cleaning up after me (I cannot seem to work neatly into a black bag she puts next to me!) THANK YOU, THANK YOU, THANK YOU my dearest Mom and friend – I could hang up my floral boots if it weren’t for you! Thanks for all your unconditional support and patience, always! I hope I can mean so much to MY daughter one day as you mean to me!